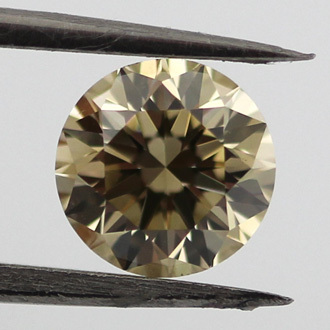 The Fancy Brownish Greenish Yellow diamond is quite different from previous clear or white diamonds in that it gives you three amazing colors according to how the light hits the diamond. The 0.75 carat round diamond offers very good polish, very good symmetry, and VS2 clarity. This is one special diamond that will be cherished.